Das Angelman-Syndrom (AS) ist eine seltene Erkrankung mit einer Inzidenz von 1:10.000 bis 1:40.000, der ein fehlerhaftes genetisches „imprinting“ im Chromosomensegment 15q11–q13 zugrunde liegt. Ergebnisse experimenteller Studien legen nahe, dass davon der γ-Aminobuttersäure-A- (GABAA-)Rezeptor, aber auch der N-Methyl-D-Aspartat- (NMDA-) oder der „α-Amino-3-hydroxy-5-methyl-4-isoxazolepropionic-acid-receptor“- (AMPA-)Rezeptor betroffen sein können. Die Patienten fallen durch ihr fröhliches Erscheinungsbild bei stark eingeschränkter oder fehlender verbaler Kommunikation auf. Ruckartige, fahrige Bewegungsmuster liegen regelhaft vor. Die meisten Hospitalisierungen sind durch Epilepsien bedingt; die häufigsten operativen Eingriffe finden in der Zahnheilkunde statt. Die erste publizierte anästhesiologische Fallbeschreibung stammt aus dem Jahr 2001. In diesem Beitrag werden die bislang veröffentlichten Fälle mit 6 Patienten einer Berliner anästhesiologischen Klinik verglichen, die im Zeitraum von 14 Jahren 15 Anästhesien erhalten hatten. Basierend darauf lassen sich Empfehlungen für die Narkoseführung bei Patienten mit AS ableiten. Die wichtigsten vital bedrohlichen Komplikationen sind Bradykardien bei einem potenziell erhöhten Vagotonus, die zur Asystolie führen können und auf Atropin verzögert ansprechen. Die Anwendung bradykardisierender Medikamente sollte vermieden werden; eine Antagonisierung der neuromuskulären Blockade sollte unterbleiben. Die Indikation für laparoskopische Eingriffe ist streng zu stellen. Ausgehend von den vorliegenden Erfahrungen ist nicht mit vermehrten Intubationsproblemen zu rechnen. Balancierte Anästhesien sind ebenso wie totale intravenöse Anästhesien problemlos verabfolgt worden. Anhaltspunkte dafür, dass eine bestimmte anästhesiologische Substanzgruppe oder ein Hypnotikum Vorteile gegenüber anderen aufweist, liegen nicht vor. Die Wirkdauer der Substanzen sollte jeweils bedacht werden. Die Abschätzung perioperativer Schmerzen ist schwierig, da die üblichen Beurteilungskriterien nicht angewendet werden können. Angelman syndrome (AS) is a rare neurodevelopmental disorder with an incidence of 1:10,000–1:40,000 caused by deficient genetic imprinting in the chromosomal segment 15q11–q13. Experimental data suggest that the gamma-aminobutyric acid A (GABAA) receptor as well as the N-methyl-D-aspartate (NMDA) or α-amino-3-hydroxy-5-methyl-4-isoxazole proprionic acid (AMPA) receptors may be affected by this condition. The first description of the syndrome goes back to 1965 when the British pediatrician Harry Angelman (1915–1996) recognized similar clinical features in three children. Angelman’s description of puppet children was changed to happy puppet syndrome 2 years later before this euphemistic denotation was replaced by the concept Angelman syndrome over the years. Angelman syndrome is characterized by ataxia, jerky movements especially hand flapping, a seizure disorder with a characteristic electroencephalogram (EEG), severe learning difficulties, a happy disposition, lack of verbal communication and dysmorphic facial features. Most hospitalizations are caused by epilepsy and the most common indications for surgical procedures are in dental medicine. The first anesthesiology case report to be published dates back to 2001. A total of 13 cases have now been published and in 11 cases the age was registered (mean age 11.6 years, standard deviation 11.7 and 2 outliers aged 27 and 40 years). 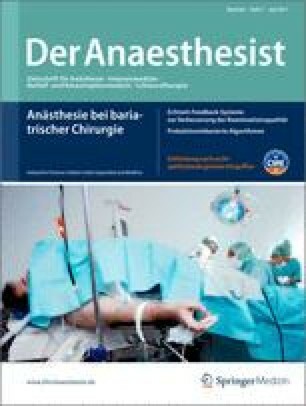 In this paper, the published case reports are contrasted with 15 cases of anesthesia in 6 patients with AS who underwent surgery during 14 years of routine operations at a Berlin anesthesiology clinic (mean age 15.9 years, standard deviation 4.2 with no outliers). Besides neurosurgical and orthopedic operations most were dental interventions. Summarized, these cases of anesthesia and the results of the published case reports allow the formulation of guidelines for administration of anesthesia in AS cases but do not permit conclusions on which method of anesthesia is the safest for AS patients. For the preoperative consultation and anesthetization, communication with the patients requires the aid of parents or other relatives. Water and reflecting surfaces may be used to gain contact with AS patients. Patients with AS feel pain like any other person although they are frequently smiling and laughing and this has to be considered especially in major surgery (e.g. scoliosis surgery). The most important life-threatening complication is bradycardia due to vagal hypertonia which can lead to asystole with delayed response to atropine. None of the Berlin patients had severe bradycardia but the complication has to be taken into consideration. The use of drugs to ensure complete reversal of neuromuscular relaxation should be avoided because anticholinergic agents could cause bradycardia. The use of sugammadex in cases of AS has not been tested. To avoid elevation of the vagal tone, the indications for laparascopy have to be considered very carefully. There is no evidence that any drug or hypnotic may be more appropriate or advantageous. Balanced anesthesia and total intravenous anesthesia are possible but the duration of drug effect has to be taken into account. If ketamine is used the side-effects of the drug (psychomimetic reactions, muscular rigidity) should be prevented by the consistent administration of propofol, midazolam or thiopental. Usually AS patients are agitated so that regional anesthesia techniques are difficult to administer. If regional anesthesia does have considerable advantages over general anesthesia in a particular case, peripheral regional anesthesia should be preferred, especially because scoliosis is often present. There is no evidence that AS patients cause more intubation problems but because of facial dysmorphia accurate evaluation is needed in advance. This is even more important for older AS patients because the dysmorphia tends to accelerate during the course of life. Although epilepsy is the primary feature of AS, not every EEG alteration indicates the presence of epilepsy. The advantage in using neuromonitoring for measuring the depth of anesthesia is limited. Administration of anticonvulsants must be continued if they were used preoperatively. Der Erstautor dankt der Medizinischen Bibliothek der Charité, Campus Benjamin Franklin (Bianka Buttler-Altenpohl, Esther-Maria Krone und andere), für die Beschaffung von Literatur.